To every square matrix X = [xij]n*n of order n, a real or complex number can be associated which is known as the determinant of that square matrix, where xij = (i, j)th element of X. It is believed to be a function which associates a unique number with a square matrix. Let us say X is the set of square matrices, Y is the set of real or complex numbers and f:X→Y is defined by f(R) = y, where R ∈ X and y ∈ Y, then we call f(R) as the determinant of R. It is denoted by det R or l R l .
Note: | R | is read as determinant R for matrix R and not as modulus of R.
Determinants exists only for square matrices. Determinants of Matrix of order one: If R = [r] is the matrix of order 1, then determinant is equal to r for matrix R.
Determinants of Matrix of order three: For a matrix of order 3*3 , determinant is defined by expressing it in terms of determinant of second order which is also known as expansion of determinant along rows and columns which can be done in 6 possible ways i.e 3 corresponding for each rows and 3 corresponding for each columns. Note: To make the calculation easier usually determinant expansion is done along that row or column which has maximum number of zeroes. Adjoint of a Matrix: Adjoint of a square matrix X = [xij]n*n is defined as the transpose of the matrix [xij]n*n where xij element as the cofactor Xij. 1. On interchanging the rows and columns of a determinant, its value remains unchanged. For a square matrix X, det(X) = det(X') where X' is transpose of X. 2. On interchanging any two rows or columns of a determinant, sign of determinant changes. 3. For two identical rows or columns, the value of determinant is zero. 4. On multiplying each row and column of a determinant with constant k, value of a determinant gets multiplied by k.
5. When some or all elements of a row or column of determinant are written as sum of two or more terms, then determinant is also written as sum of two or more determinants. 6. Multiplying a determinant by k means that elements of only one row or column is multiplied by k.
8. When equimultiples of a corresponding elements of other rows or columns is added to each element of rows and columns of a determinant, then value of each determinant remains same. 9. Minor of an element xij of the determinant of matrix X is denoted by Mij and is the determinant determined by deleting ith row and jth column. 12. On multiplying elements of one row or column with cofactors of elements of any other row or column, the resultant sum is zero. 13. X(adj X) = (adj X) X = | X| I, where X is the square matrix of order n, adj X is the adjoint of matrix X also known as transpose of matrix X. | X | ≠ 0. On the off chance that you ever wind up utilising math to take care of issues with a huge arrangement of autonomous yet connected, amounts, you frequently utilise direct variable based math to discover a wide range of arrangements, either correct or rough. On the off chance that you wind up doing any measure of the straight variable based math whatsoever, you will definitely need to discover the determinant of a lattice sooner or later, with a specific end goal to reverse it, discover its eigenvalues, or more outlandish issues. 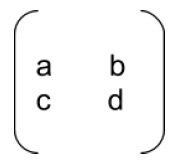 So, determinants can appear in any field which can take care of issues with (a) a considerable measure of factors which (b) connect definitively. This is for all intents and purposes all of the science, designing, huge information, information investigation, business math, etc. Not everyone who takes a shot at those things needs determinants, however many individuals in those fields have absolutely utilised determinants. 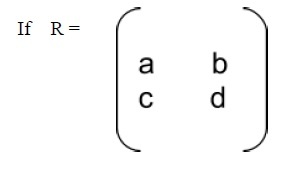 Cramer's Rule, named after Gabriel Cramer (1704-1752), utilises determinants to unravel the arrangement of direct conditions in factors. This control applies just to frameworks with remarkable arrangements. We offer Determinants assignment help, Determinants assignment writing help, math assessments writing service, math tutors support, step by step solutions to Determinants problems, Determinants answers, math assignment experts help online. Our math assignment help service is most popular and browsed all over the world for each grade level.